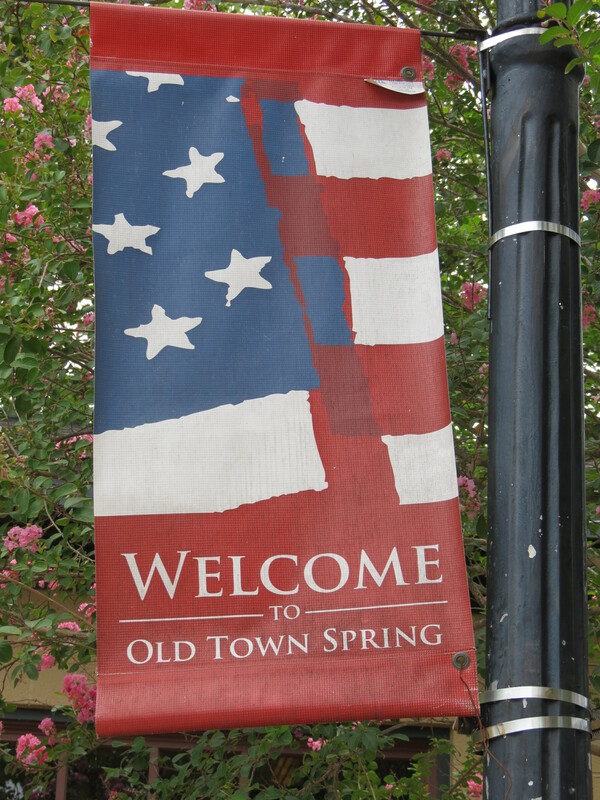 We took Mum to a little town just North of Houston this week, Old Town Spring. 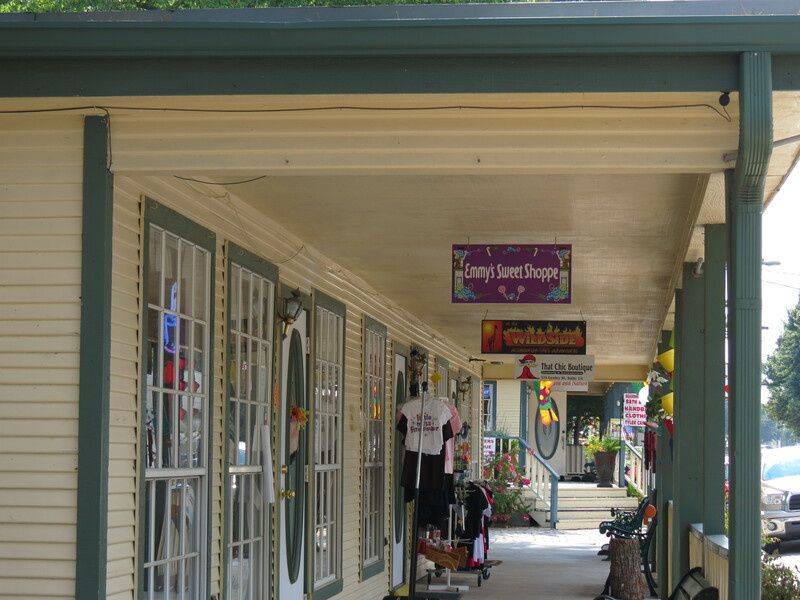 It has many wooden buildings which are over a century old and is built in style of an 1800s settler town. It’s a nice change from ever so modern Houston. We had a lovely, but very hot, afternoon wandering around the shops – interesting boutiques, tourist shops, fudge and treat shops, as well as antiques and lovely shops full of nice house things. 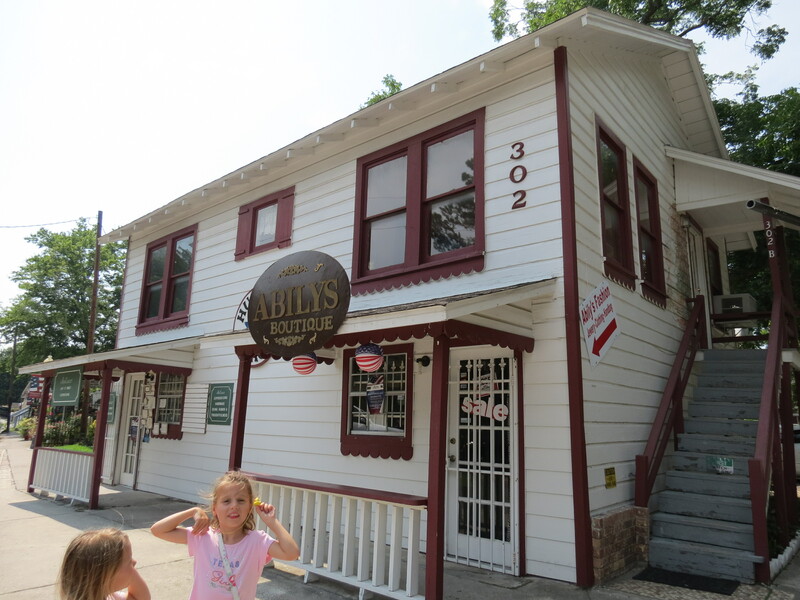 We even found a shop called Emmy’s Sweet Shoppe (for my sister!) The girls were very pleased with that. It looks like the ideal place to visit before Christmas and some shops already had fantastic Christmas decorations on display. « The teepee becomes a bird hide!